society. Membership shall be valid upon registration, and until the conclusion of regular registration in the following year. Any person residing in the Crowsnest Pass, Alberta may become a member by resolution passed by a majority of the members at a regular meeting of the society. And upon payment of the registration fee. Such voting shall be by show of hands unless the meeting by resolution otherwise decides. Membership fees in the society shall be $1.00 for all, included in the yearly fees payable upon registration day. Members have the right to attend any general or special meeting of the society. Members are responsible for behaving in accordance with the bylaws and objectives of the society. Any member wishing to withdraw from the membership may do so upon a notice in writing to the board. Any member, upon 2/3rd vote of all members of the society in good standings, may be expelled from the membership for any cause which the society finds reasonable. Not with standing that the membership of the board members may expire during her term of office, she shall continue to enjoy all the rights and privileges of membership for the duration of her term in office. Annual meetings of the society shall be held on or before May 15th each year. Members will be given 10 days’ notice of annual meetings through publication of notice in the local newspaper. Meetings of the society may be called at any time by the Secretary/Registrar on the direction of the President or the Board. Members will be given 10 days’ notice of general meetings through publication of notice in the local newspaper. A special meeting shall be called by the President or Secretary/Registrar upon receipt of a petition signed by 1/3rd of the members in good standings, setting forth the reasons for calling such meeting. Members will be given 10 days’ notice of special meetings through publication of notice in the local newspaper. Seven members in good standings constitute a quorum for general and special meetings. All other meetings of the Society shall be conducted in accordance with Roberts Rule of Order. Every Member in good standings has the right to vote at any general or special meeting of the Society. Voting must be done in person only, and not to be proxy or otherwise. 9. Biannually, in odd numbered years, there shall be elected at the annual meeting a President, Secretary/Registrar, Team Directors 1 and 3, Equipment Director, Referee Director and Player/Coach Development Director. Biannually, in even numbered years, there shall be elected at the annual meeting a Vice-President, Treasurer, Team Director 2, Fund-Raising Director, Communications Director and Ice Director. The officers and Directors elected shall constitute the board, and shall serve two years until their successors are duly elected and installed. Members unable to attend the general meeting may indicate in advance their willingness to accept a position through a letter to the association. In the event that no one is available to run for a position at the general meeting, a board may fill that position by appointment. Any vacancy occurring the two year period shall be filled at the next general meeting, the board may fill such vacancies by appointment, provided that the vacancy is advertised for at least two weeks prior to any such appointment. Subject to bylaw 16, any member is good standings are eligible to Office in the Society. The board shall, subject to bylaws and directions given by the majority vote at any meeting properly called and constituted, have full control and management of the business and affairs of the Society. Subject to the bylaws and direction given by the majority vote at any meeting properly called and constituted, responsibilities of the board shall be as set out by the board from time to time. Meetings shall be called by the President and shall be held as often as the business of the Society requires, at least every three months. A board meeting shall be called on the instructions of any two members thereof, provided that they request the President in writing to call such a meeting and state the business to be brought before the meeting. Meeting of the board shall be called with 10 days’ notice by Email or 3 days’ notice by Telephone. Seven board members constitute a quorum. Emergency meeting may be held 24 hours or less notice if a quorum of the board is present, provided, however, that reasonable effort is made to contact and ensure the attendance of all members of the board. AnyofficerordirectortheSocietymayberemovedfromofficethroughamotionpassedbythreequartersofthememberspresent at any general or special meeting of the Society. 12. ThePresidentshallpresideatallmeetingsoftheSocietyandoftheboard.InherabsencetheVice-President,Secretary/Registrar,or Treasurer, respectively, shall preside at any such meetings. The President shall vote only to break a tie or to form a quorum. At the end of her term the President shall remain Past President in an advisory capacity for at least one year. The Secretary/Registrar shall attend all meetings of the Society and of the board, and keep accurate minutes of the same. She shall have charge of the Seal of Society which seal whenever used should be authenticated by the signature of the Secretary/Registrar and the President, or, in case of the death inability of either to act, by the Vice-President in his stead. In the absence of the Secretary/Registrar, her duties may be discharged by any Officer appointed to the board. The Secretary/Registrar shall have all the correspondence of the Society and be under the direction of the President of the Board. The Secretary/Registrar shall also keep a record of all the members of the Society and their addresses, send all notices of meetings as required, and shall collect and receive the annual dues and assessments levied by the Society, and promptly turn them over to the Treasurer for deposit in a chartered bank as required. 15. The Treasurer shall receive all money paid to the Society and shall be responsible for the deposit of the same in the bank of the Society. She shall properly account for the funds of the Society and keep such books as may be directed. She shall present a full detailed account of receipts and disbursements to the Board whenever requested and shall prepare for summit ion at the annual meeting, a statement, duly audited, of the financial position of the Society and summit a copy of the same to the Secretary/Registrar for the records of the Society. This statement must be summited to the Society’s Accountant by the middle of July each year. 17. Any Board member missing three consecutive meetings other than for illness, work or family emergencies shall be deemed to have resigned his position. 18. Responsibilities and authorities of Team Managers and Coaches shall be as set out by the Board from time to time. 20. 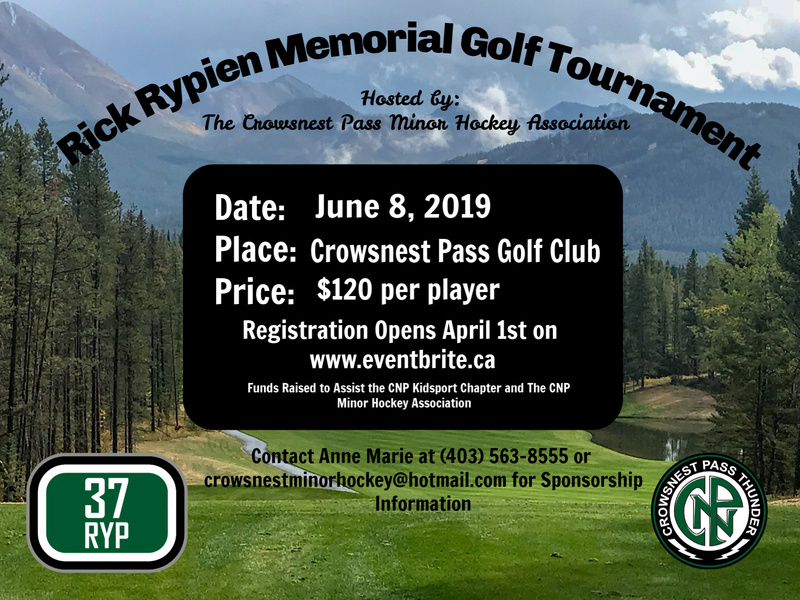 Tournaments shall be run by the Crowsnest Pass Minor Hockey Association and all proceeds and or losses shall be absorbed by the Association. The books, accounts and records of the Secretary/Registrar and Treasurer shall be audited at least once a year by a duly qualified accountant or by two members of the Society elected for the purpose at the Annual Meeting of the Society. As complete and proper statement of the standing of the books for the previous year shall be summited by the Treasurer at the Annual Meeting of the Society. The fiscal year of the Society shall end on June 30th of each year. The books and records of the Society may be inspected by any member of the Society at the Annual Meeting or at any time upon reasonable notice and arranging a time satisfactory to the Officer or Officers having charge of same. Each Board member shall have access to such books and records at all times. The Society shall not be permitted to borrow money. 24. Unless authorized at a meeting duly called and held for the purpose given, no officer, directors or members of the Association shall receive any remuneration for his services.